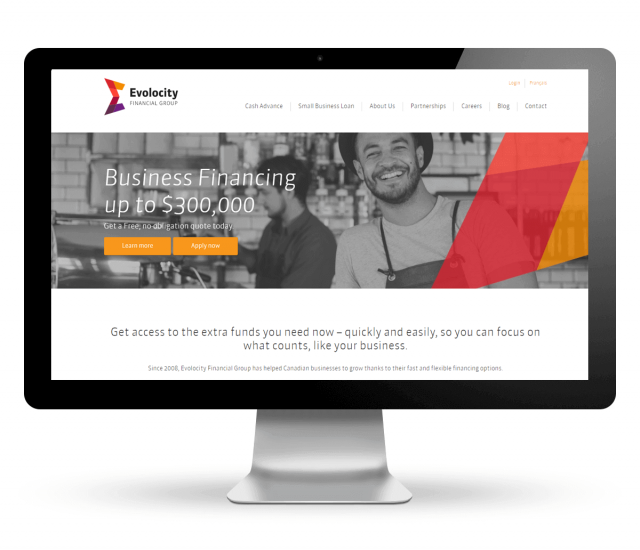 Evolocity Financial Group partnered with Pedestal to increase the number of qualified leads it generated through search engine marketing. Evolocity Financial Group offers small and medium sized companies financing and financial services. Its technology-driven solutions enable SMBs to access the capital they need, quickly and easily. Pedestal aimed to increase traffic and leads generated for Evolocity. We conducted an in-depth analysis of Evolocity, its competition and the industry’s digital landscape. This included in-depth keyword research and SEO website audits. Pedestal used this research to create targeted pay-per-click (PPC) campaigns and execute a comprehensive SEO strategy. Through this process, Pedestal was able to identify strategic opportunities that drove more qualified website traffic. More qualified traffic resulted in more qualified leads, and ultimately led to an increase in revenue. Increased online leads by 162%. Increased website traffic by 36%.